में भुला न सके कोई इसकी खुशबू सातों जनम में. देशभक्तो के खून की वो धरा याद करले. Be Proud To Be An Indian..! तब तक भारत माँ का अंचल नीलम न होने देंगे. तुझ पे मरेगा हर कोई. ऐसे सहीदो को हम सब सर झुकाते है. Happy Independence Day To All !!!! Independence day is very special day for any country any person. Everyone in the country love their country. Specially the country which are being independent after war and lots of hard work. India is one of them. In India we call our country as a mother, We all feel that we are the child of our country and it’s different from any other country so we proud that we all Indians have a common mother that never going to be die in our heart. In this special occasion each people in the country looks happy because we can’t forget that day 15th August, 1947. It makes everyone happy to remember that we are now freedom. But if we know about how we become freedom then everyone getting hurt. It’s a very sad story that how we got freedom. 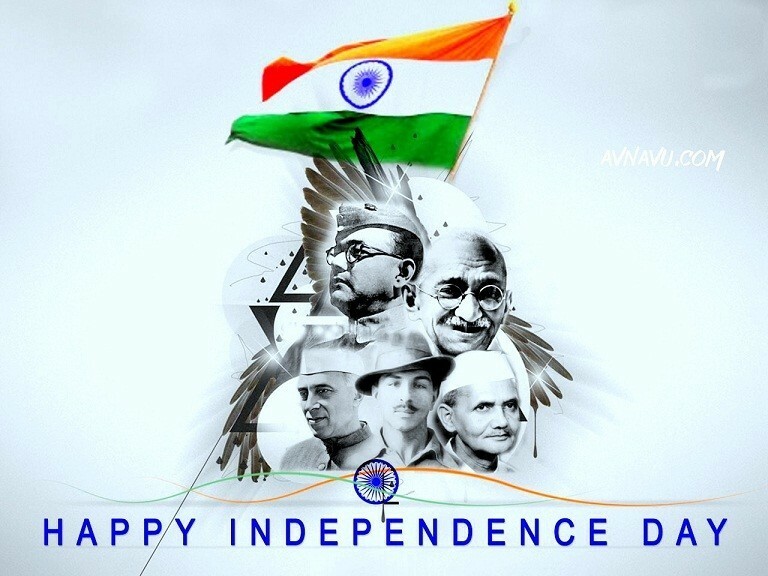 So in the special occasion avnavu.com represent something for you that makes you easy to celebrate this festival and to wishes your friends and relatives for independence day. We are trying that you could easily find as sms, wishes and independence shayari as per your requirements. Independence day status for whats app. It’s help you to give speech on Independence Day or 15th August. humesha bani rhe mere tirange ki shaan..
iske liye kitne veero ne hai de di apni jaan.